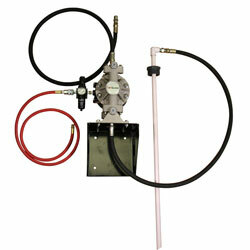 Matched Components – ARO drum pump package components (adapters, siphon tubes, etc.) 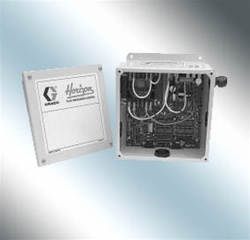 contain pre specified, matching materials of construction for complete fluid compatibility. 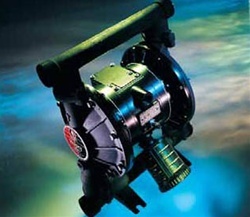 Runs Dry – ARO diaphragm pumps can run dry without any damage to the pump. 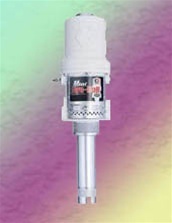 Patented Air Valve – Patented “unbalanced” air valve design eliminates stalling, a common occurrence in competitive pumps. Bolted Construction – Pumps feature bolted construction to avoid the proven problems created by band clamp type pump fasteners. Simple Design – Provides trouble-free operation and virtually maintenance-free performance. 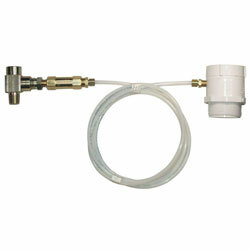 1/2″ Wall Mounted Pump Package for Windshield Washer Fluid – Includes 1/2″ diaphragm pump, wall mount bracket, siphon tube assembly, (2) 1/2″x 5′ material hoses, 1/4″ x 5′ air hose, air filter/regulator/gauge, air coupler, air connector and 1/4″ air adapter. Not Recommended for oil use in a “closed” system (where the pump remains pressurized when not in use) without thermal relief kit model number TIM-RELIEF-KIT. Be the first to review “American Lube 612999-1 55-GALLON WINDSHIELD WASHER FLUID PUMP PKG” Click here to cancel reply.